Looking for tasty Mexican comida in South Carolina? 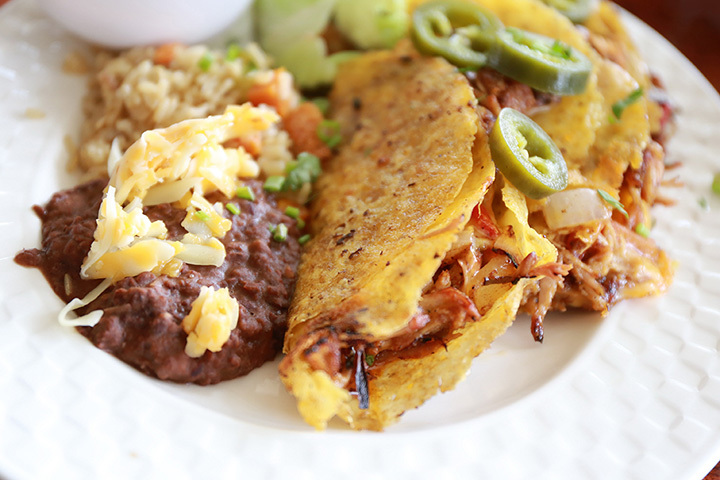 You’re in luck—the Palmetto State boasts quite the Mexican food scene throughout the state. If you’ve ever been to an authentic Mexican restaurant, you know that the experience is just as important as the meal itself. From the starting round of chips and salsa to fishbowl margaritas, the best Mexican restaurants offer a unique dining experience at every angle. And you can find the best food and fun this side of the border at one of these 10 best Mexican restaurants in South Carolina. This upscale Mexican restaurant pays homage to the beginnings of the taco. The chefs here put a lot of thought into crafting each dish, such as tasting over 40 varieties of corn before settling on three to make their fresh tortillas. And all that extra attention to detail is well worth the effort after you take the first bite. Literally the “Crazy Donkey Party,” this high-end Mexican eatery is nothing short of fascinating. They have some of the largest (and best) nacho platters imaginable, along with happy hour traditions that are not to be rivaled. You can take your pick of patio or indoor dining, but each will fully immerse and involve you in a dining experience you’ll never find anywhere else. This elegant Mexican restaurant has been filling appetites and making friends around the Upstate for over two decades. Even the name translates into “Friends,” which is exactly how they treat their guests. Aside from the friendly service, you can find true authentic Mexican food in an environment that’s as culturally filling as the meals themselves. The wildly popular La Parrilla has made its single South Carolina home in Greenville. You can expect a full blown fiesta every time you visit, along with tasty traditional options like fajitas, quesadillas, burritos, nachos, enchiladas and more. But the one thing that sets them several sombreros above the rest is their exquisite catering service that helps you turn any event into your very own fiesta. Aside from its catchy name, Papa’s & Beer features a fun, varietal menu filled with traditional Mexican dishes prepared just like they do in the motherland. But their coup de grace is their salsa bar outfitted in every flavor imaginable—even pumpkin spice! If you can’t make the journey to Anderson, try one of their other two locations in Greenville and Simpsonville. This little Mexican restaurant is filled to the brim with flavor, fun, and a Mexi-country fusion atmosphere. Locals swear by this place and make a meal at Vaqueros a frequent tradition. They sometimes feature live mariachi bands to culminate your trip. They’ve got a menu chock-full of Mexican flavor and an atmosphere to match. Visitors love that they can get high quality, tasty meals for less than they pay at other Mexican restaurants in the area, especially since service is also exceptional. It’s also an unofficial fact that they have the coldest beer in town! They’ve also got a second location in Pawley’s Island that’s equally impressive. Even if you don’t like Mexican cuisine, you’ll want to make a trip to Mariachi’s simply to delight in the fun, festive atmosphere. You can’t help but get pulled into the bright color scheme, high ceilings, artwork, and all the fine details that make a meal here nothing short of enjoyable. Abuelo’s presents authentic Mexican flavor with a cultural flair. The entrees, salsas, chips and other eats are all made-from-scratch and cooked to perfection, and you can taste the extra effort the chefs put into crafting each item. You might find a fair few Abuelo’s restaurants dotted along the country, but this one is the only one in the Palmetto state. Truly a locals’ hotspot, La Bamba knows how to combine food, service, and price into the ideal meal. If you’ve ever been to a larger, high-energy Mexican restaurant (and hated it), you’ll appreciate the relaxed, laid back experience La Bamba offers.